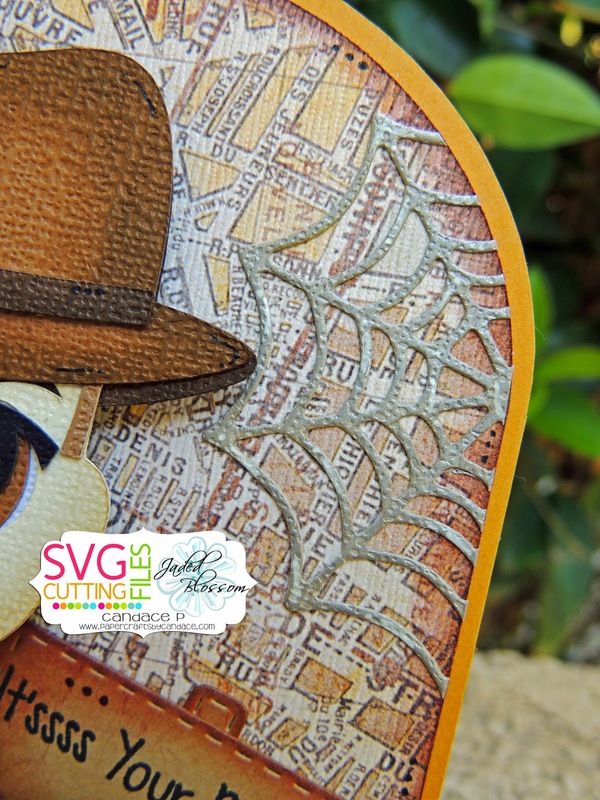 Paper Crafts by Candace: SVG Challenge: Birthday Cards! Hi Everyone! Happy Monday! Today is the 15th and that means a new challenge over at SVG Cutting Files! This months challenge is Birthday Cards! My husbands birthday was last week so this is the birthday card that I made him. 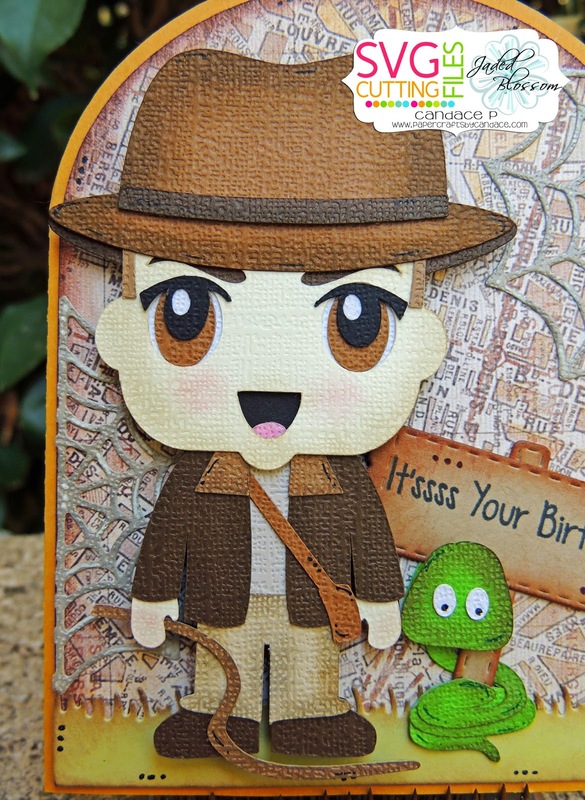 He LOVES Indiana Jones so of course Ann was able to create this cute guy for me. 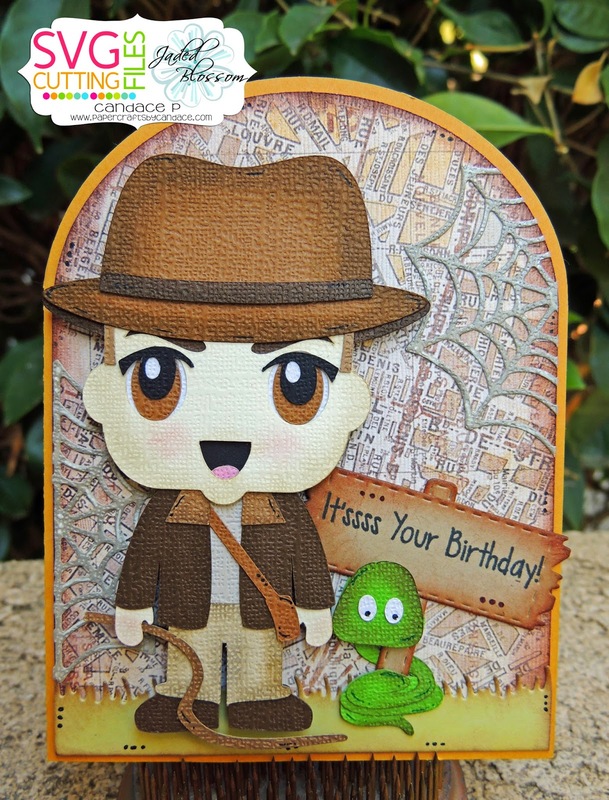 Indiana Jones is FREE only when you submit your project to SVG Cutting Files Challenge. I also used the Arched Top Card Base. I also used Jaded Blossoms Spring Dies, Halloween Dies, Fall Dies and Go Wild stamp set. EMAIL sales @ svgcuttingfiles.com WITH THE SUBJECT LINE "BIRTHDAY CHALLENGE ENTRY #2"
Thanks so much for checking out my project today! Head over to SVG Cutting Files to see what the rest of the team created. This is so cute -- love the snake wrapped around the sign!! Indie is so cute. Love it. Keep up the great work and blog hops. Awesome job! Mickey is so cute! I love this map paper! Must know where you got it from!